The motivation for this road trip was to see, and photograph, the Bagdad Cafe and the Roadrunner's Retreat sign along the Old Route 66. 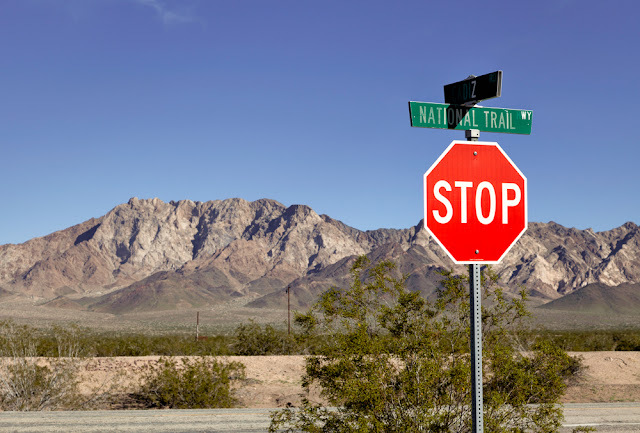 There's quite a bit more to see between those two locations, so here are photos of some of the stops and sights between Newberry Springs and Chambless, California. The photos are in order going from west (Newberry Springs) to east (Chambless). Pretty sure anyway. 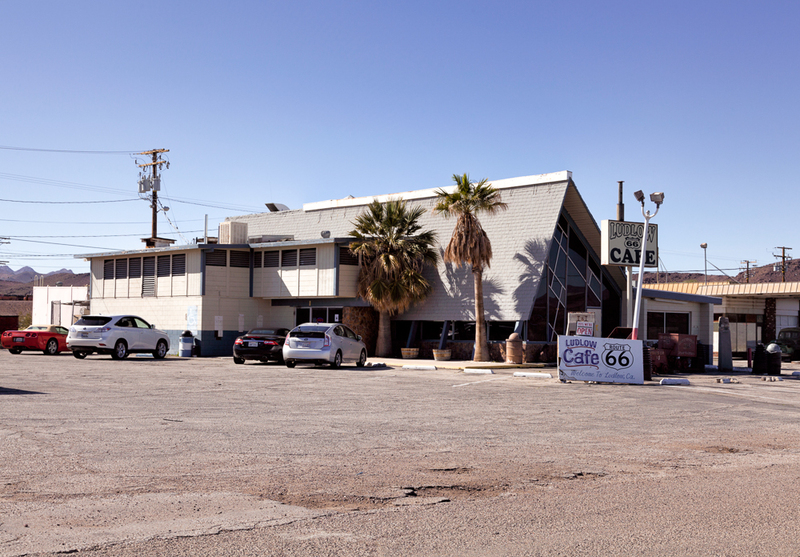 The famous Bagdad Cafe. Especially so for the French tourists. Not sure why. 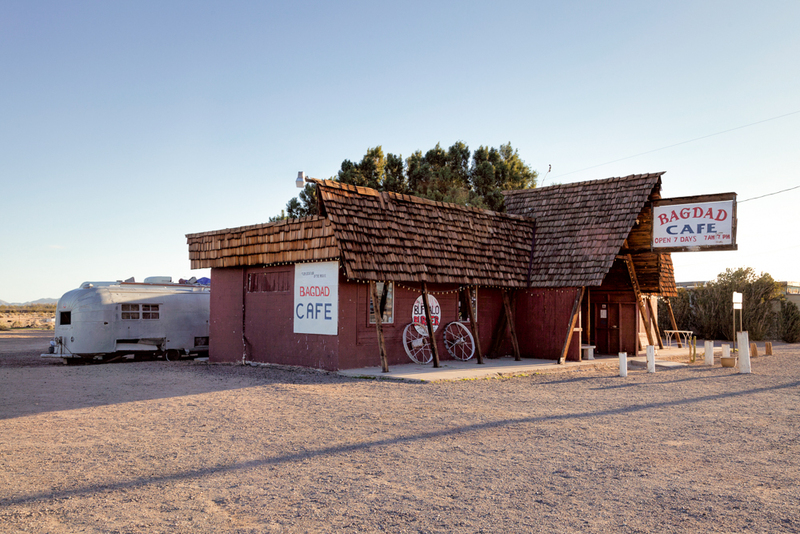 Although the cafe is on the old Route 66 that was bypassed by Interstate 40, it is very close by. You can see the cafe from the interstate. Made famous by a movie and TV show of the same name. The 1987 movie starred, among others, CCH Pounder, Marianne Sagebrecht, and Jack Palance. 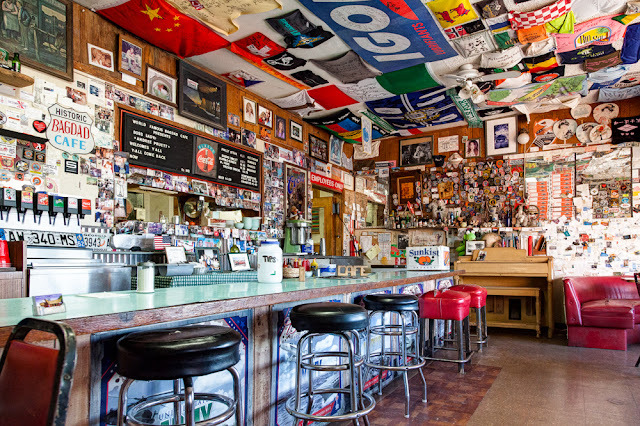 Not a movie prop, this is an actual cafe and is still open. 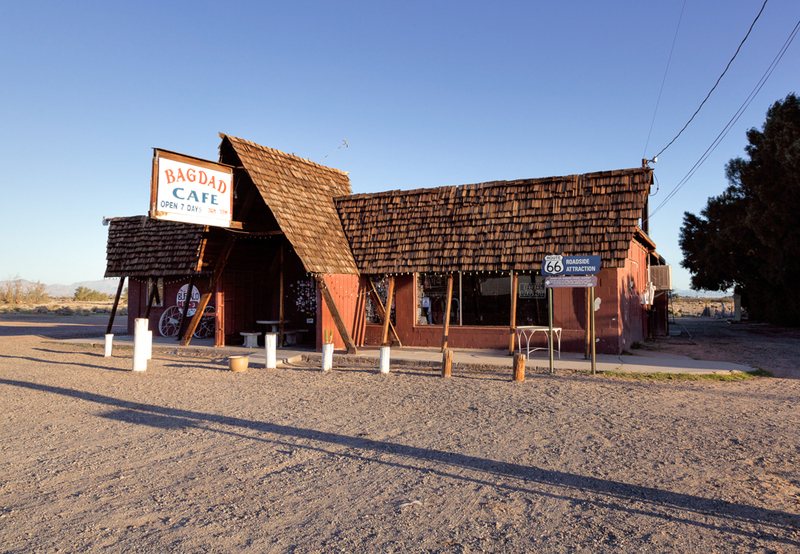 The Bagdad Cafe is located in Newberry Springs, not Bagdad, California. There is a Bagdad a short distance down the road, but there really isn't anything there but desert. 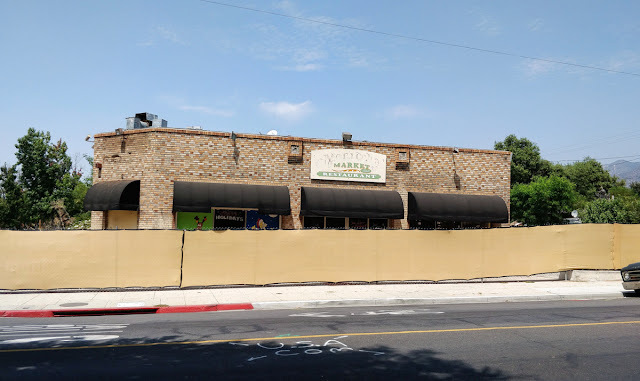 The cafe was originally named The Sidewinder Cafe. The Bagdad Cafe name was kept permanently after the movie came out. The interior is covered in mementos left by visitors. 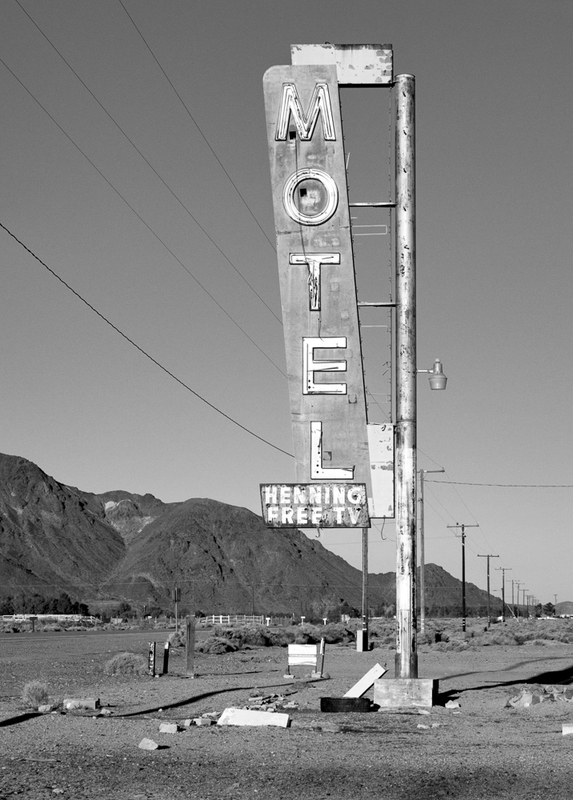 Motel sign at the Bagdad Cafe. Side note: Walter and Cordelia Knott homesteaded a parcel of land in Newberry Springs from 1914 to around 1917. Long before boysenberries, chicken dinners and a world famous theme park. A short distance from the Bagdad Cafe, a sign describing what seems like the perfect business for this area. 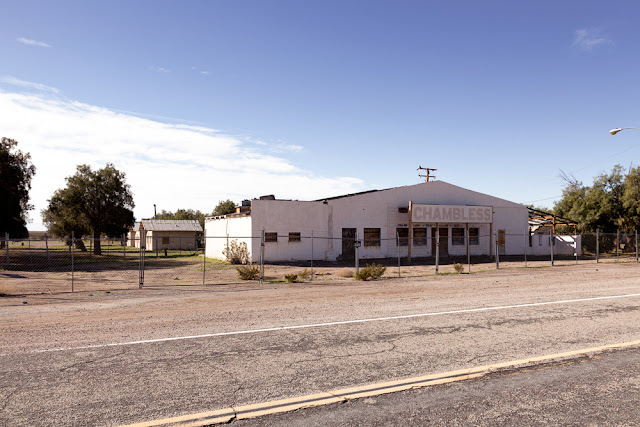 Ludlow, California. Just a quick stop here to take a photo. 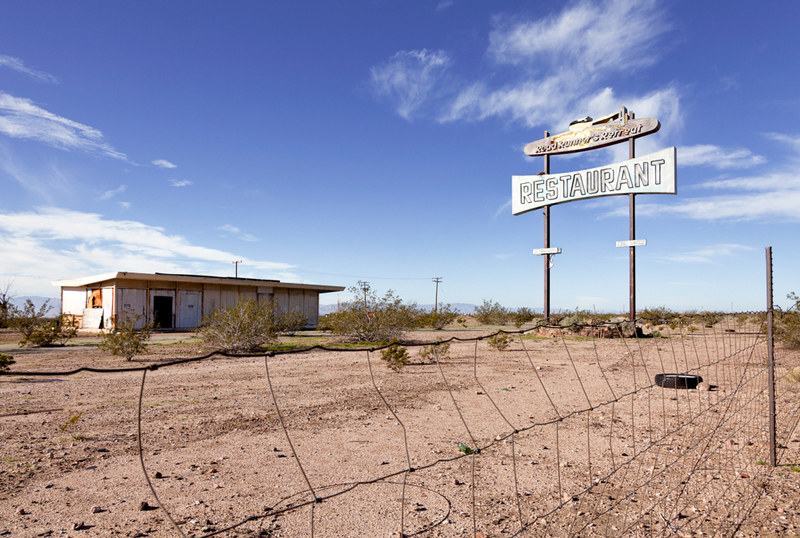 Seems to be one of the few places left open along Route 66 in Ludlow. Much of the town has been abandoned. 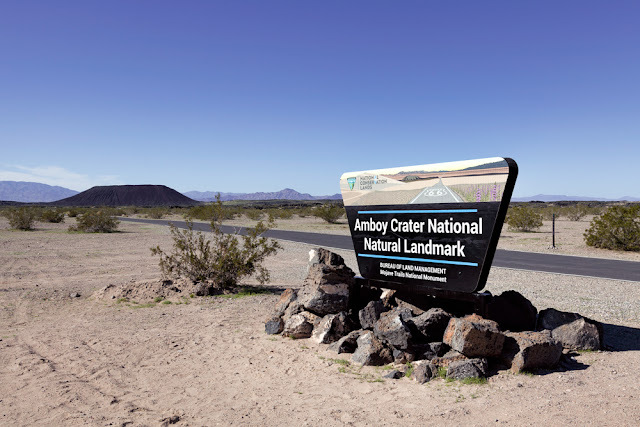 Amboy Crater National Natural Landmark. The cone on the left is about 250' high and the volcano last erupted a mere 10,000 years ago. A quick stop at Roy's Motel and Cafe. 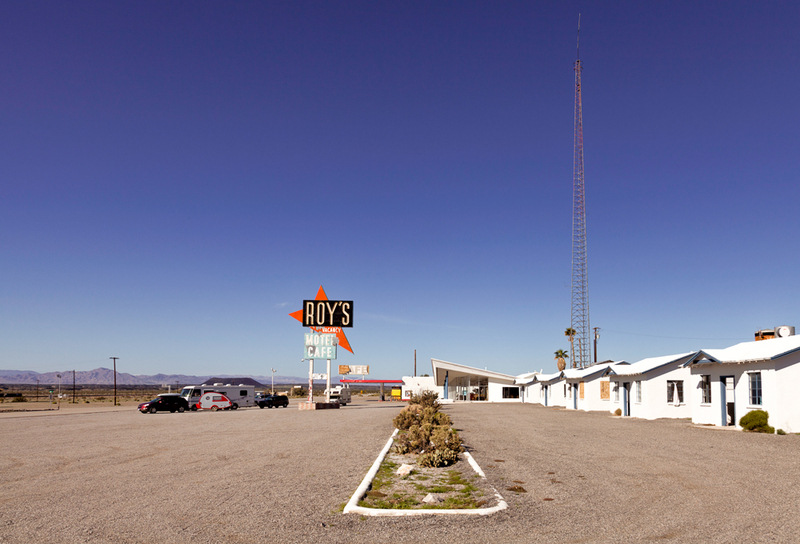 I've photographed this a couple of times before, I'll make a separate post just for Roy's. 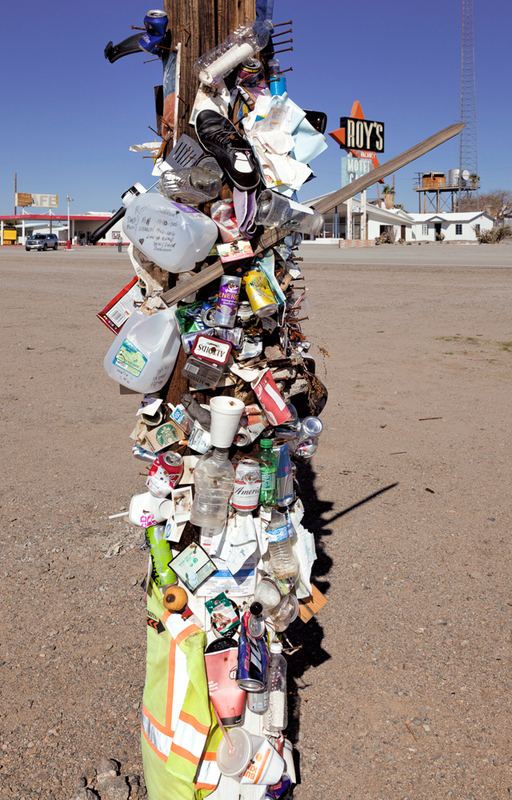 The kind of thing you see in the desert. Across the street (Route 66) from Roy's, a post full of whatever stuff people had available to leave as a memento of their visit. A lot of items are attached with big rusty spikes. Odd. 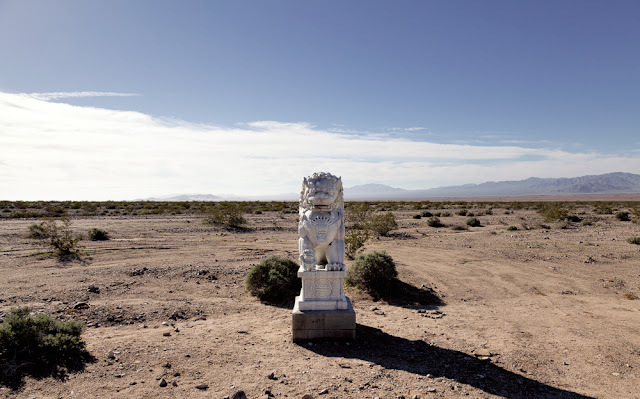 Guardian Lions or Foo Dogs. There are two of these statues, one male and one female, out in the middle of nowhere. 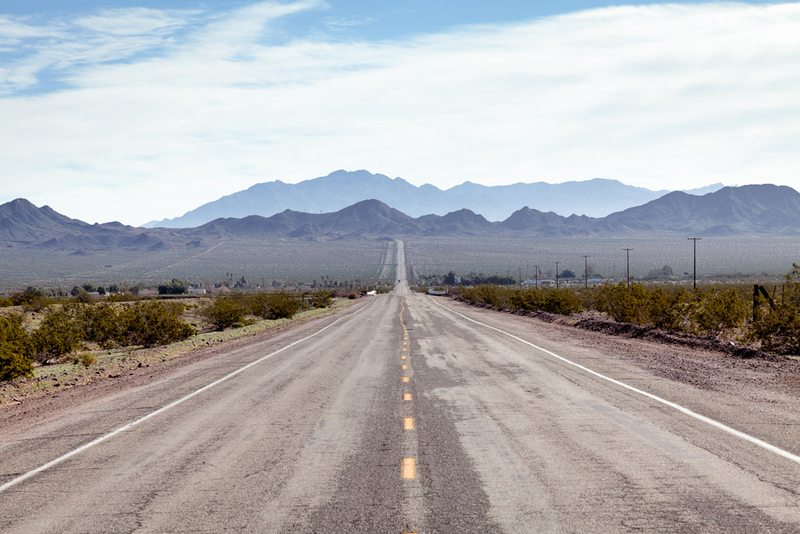 They are set quite a ways back from Route 66, but close enough to see if you are looking for them. The two statues are the same distance off the road but about 1/4 mile from each other. No one seems to know for sure who put them there or why. Like so many businesses on this stretch of Route 66, abandoned and decaying in the desert. 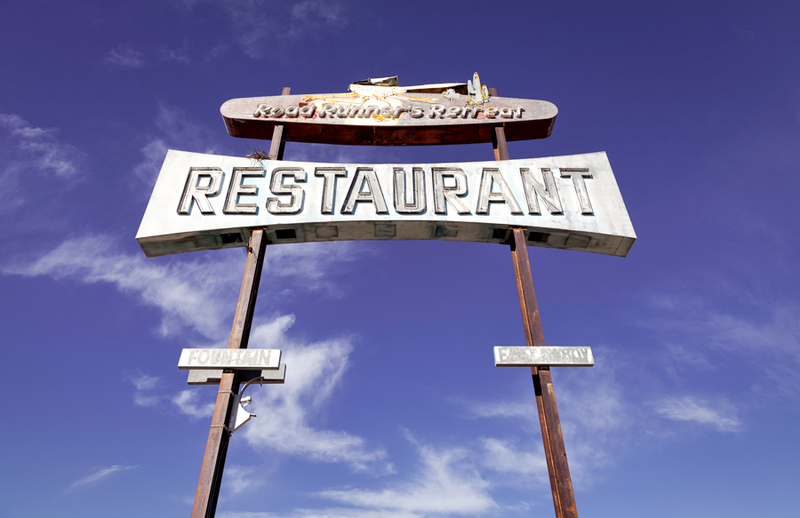 People traveling along Route 66 would be able to see great neon signs like this for miles. Old Route 66, The Mother Road. Intersection of Cadiz and National Trails Hwy. The last stop on this road trip. 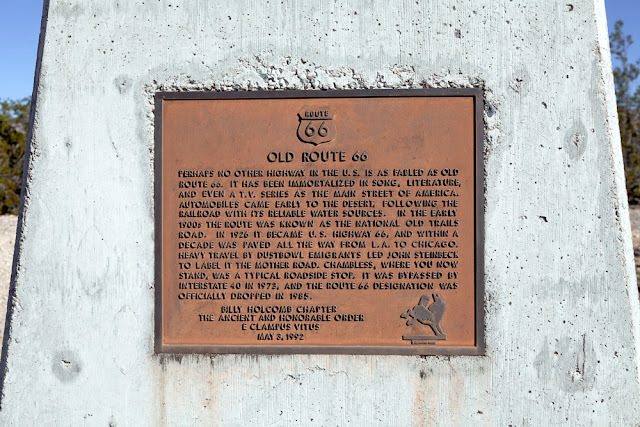 A marker set in concrete about Old Route 66. Chambless Camp. 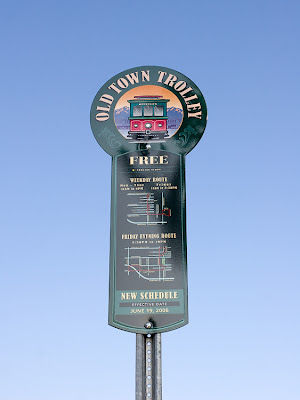 One of many businesses started to assist the traveler's along Route 66. 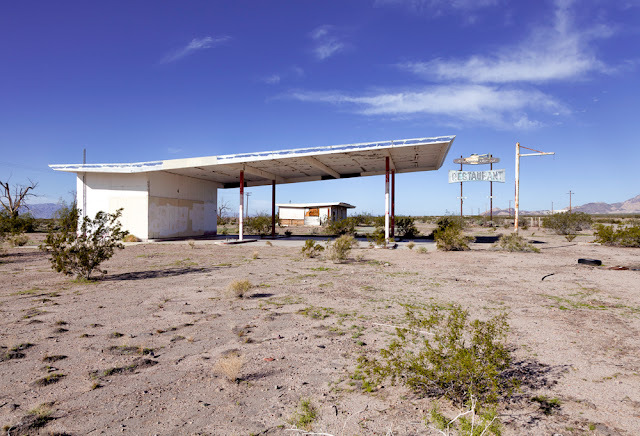 Abandoned, but once consisted of a market, cafe, service station and cabins. That's it for this trip and this is just a partial list of what can be found between Newberry Springs and Chambless. 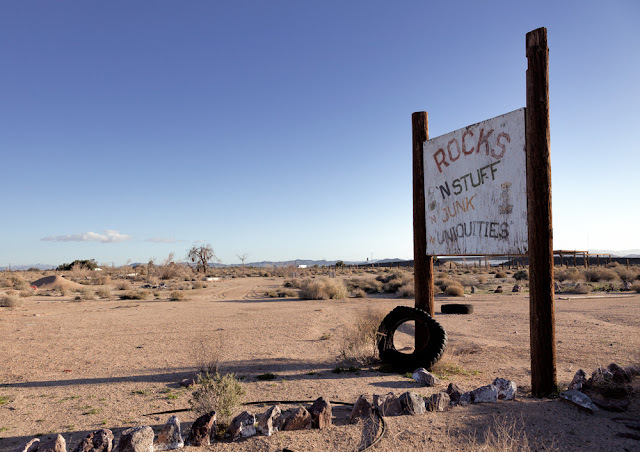 It may seem like a lot of nothing in this part of the Mojave, but there are interesting places and a lot of history in the desert if you look. Very cool! 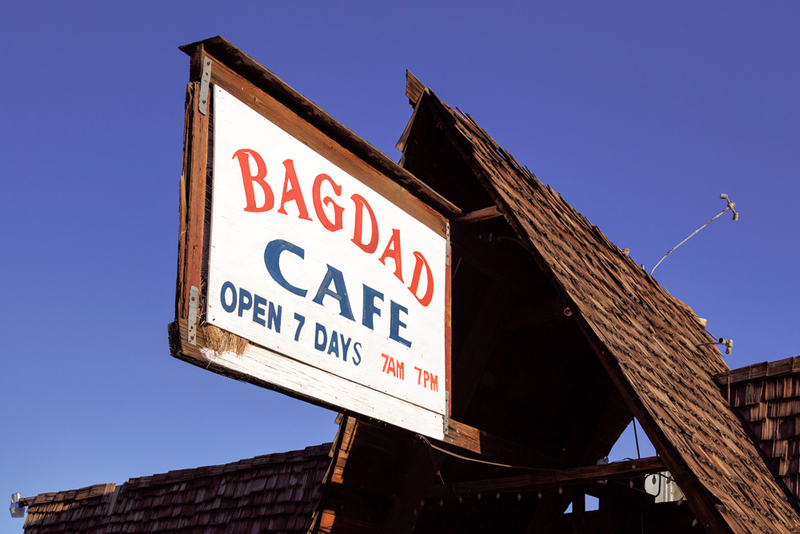 I've always wanted to visit the Bagdad Cafe.